The UAE Dolphin Project is a Dubai-based, non-profit initiative dedicated to investigating the dolphin population along the UAE coastline, to provide scientific information and to support the conservation of these local marine species. 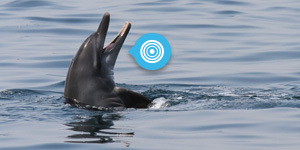 As the first project monitoring coastal dolphins in the whole Arabian Gulf, it is a pioneering undertaking. It entails the collaboration of national and international, private and public institutions and organizations. Volunteer positions are unpaid, but you will gain valuable experience and the chance to work for a great cause! Have you had any experience as a volunteer before? What skills do you have that could be relevant to the UAE Dolphin Project?